“Hey Shorty, did you shrink over the summer?” Kids can be really mean. When my (Becky) youngest son returned to middle school in September for the start of seventh grade, it seemed everyone grew…except him. Bullying behavior is beyond normal conflict; it is contempt and cruelty. It is more than teasing. It is repetitive and unwanted. The idea is to dehumanize and ostracize the targeted individual. Surprisingly, bullying can begin as early as age five, the age when most youngsters begin kindergarten. The bully’s goal is usually to exert control or build him or herself up by putting another down. When acting without impunity, the aggression intensifies. Bullying must not be ignored. There are typically four types of bullying: social, sexual, physical, and cyber. Verbal, the most common characteristic of social bullying, includes name-calling, teasing, spreading rumors, and gossiping. Also actions such as intentionally leaving people out and breaking up friendships are considered social bullying. Girls are especially masterful in this realm. Boys have the corner of the market on physical bullying but girls surprisingly have an isle in the store, as well. This type of bullying usually begins in elementary school, peaks in middle school, and thankfully declines in high school. The fourth category, cyber bullying, is the most insidious. Younger and younger kids are being exposed to this form of ridicule. Cyber-attacks are especially cruel because the perpetrator is often anonymous and its effects are far reaching. The Internet, mobile phones, and other digital technologies become powerful weapons in a cyber-meanie’s hands. This form can be a catalyst for the other three kinds of bullying. • Child is alone a lot. • Child refuses to attend school, school events. • Child complains of excessive aches and pains: head, stomach, etc. • Child withdraws from friends, family, and even siblings. • Child exhibits uncharacteristic outbursts. • Child’s grades drop and interests change. Conversation can be an indicator something is amiss. Some kids may test the waters by saying, “Brooke wasn’t very nice to me today,” or “Tommy has to always be first.” Often kids give some information that cloaks clues of potential bullying. Many will downplay an event. Almost 60% of kids never tell their parents about their pain because it’s humiliating for a child to admit being a victim of his or her peers to a parent. • Are there bullies in your school? • Who do the bullies usually pick on? • Have you ever seen it happen? What did you do? • How do those kids who bully others treat you? Listen, be aware, and empathize. Let your child know you are on his team and will never desert him. When talking about the circumstances, keep your own emotions in check (This is really difficult). Reinforce that being bullied is not his fault. Tell your child you’re glad he trusted you with this sensitive information. Share a time you were picked on to remove the loneliness factor and to normalize child’s situation and feelings. Avoid minimalizing the situation. When attempting to solve this heart-breaking problem, respectfully ask if he wants your help. Younger kids typically need more adult intervention. Older kids may prefer to handle the issue themselves. If you have your tween’s permission, call the school to learn the bullying procedures, find out the professional with whom to speak, and seek assistance in determining the next and proper course of action. • Practice exit lines to take the bully’s control away, “I’m not interested in being teased today.” Then walk away. • Refrain from further abuse that could be motivated by the victim’s tears or emotional outburst. These responses are just fodder for the bully’s hostility. • Respond with humor. This disarms the bully. • Consider the source. Bullies have usually been bullied themselves. • Encourage or assist child to be his own advocate to go to an authority figure. It’s possible the circumstances are too difficult to manage. Your child may need to switch classrooms or schools. This feels unfair. The bully should be the one removed but usually this is not what happens. At home totally remove, limit, or physically move technology to a common area until things cool off. Avoid having your son or daughter alone in his or her bedroom, obsessing over Facebook comments or Twitter tweets. Isolation combined with peer ridicule has scary potential. Continue to pay close attention to your child’s emotional, mental, and physical state. Keep in mind counseling may be necessary. Help your child through this difficult time by encouraging a new hobby or extra-curricular activity. Support your child in seeking and fostering fresh relationships. Make home a safe-haven. Most importantly, pray with and for your child. Share with your child that even the saints in the Bible were bullied. Joseph was bullied by his brothers and David by Saul. But both victims rose up to be strong leaders. Remind your child God is the One who says that he is: precious, valuable, and created for a purpose. Encourage your child to rely on the Holy Spirit for the courage to persevere and tackle the hard stuff in life (even in dealing with a bully). If you find your child is a victim of bullying, we are sorry for the pain you and your young one are experiencing. We hope the identifiers and strategies provided prove to be helpful. And know, with confidence, God is with you and your child. 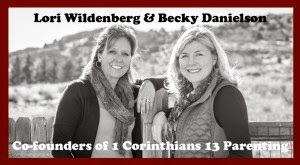 Lori & Becky are licensed parent and family educators and cofounders of 1 Corinthians 13 Parenting. 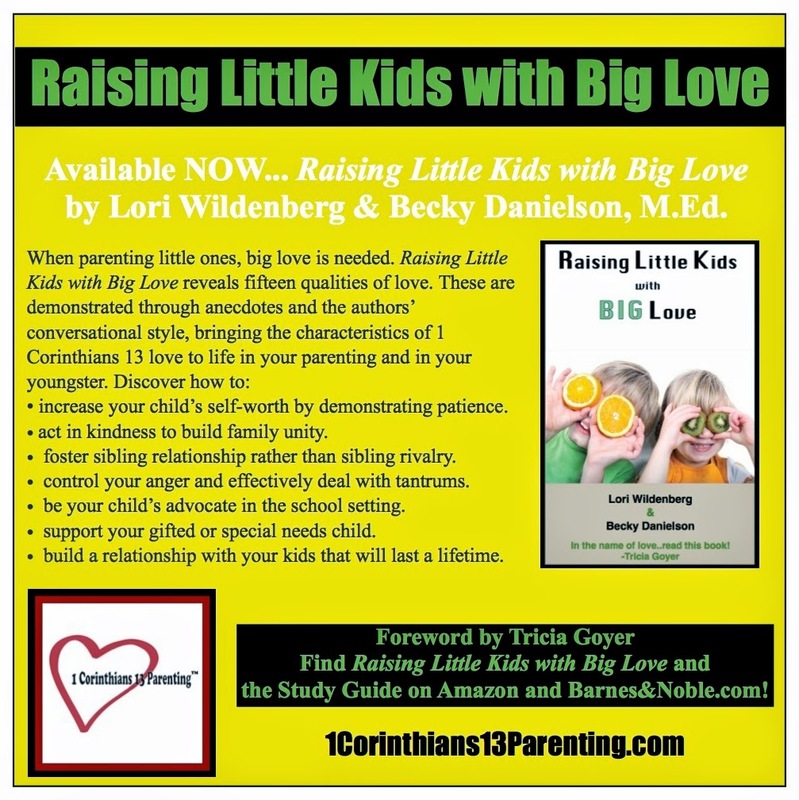 Their book, Raising Little Kids with Big Love has just been released and their second book in the series, Raising Big Kids with Supernatural Love is soon to be released. If this post was a blessing to you, you can find more great faith-based and easily applicable tips and information in their books which can be found on Amazon or BarnesandNoble.com.